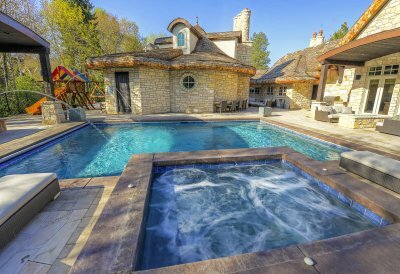 Whether you’re considering a brand new swimming pool installation in Salt Lake City or simply want to upgrade your existing pool, there are several trends you can embrace in 2018. Consider giving your pool modern appeal with these features that are sure to be favorites this year. With hydrotherapy jets, you get to combine the benefits of having an in-ground swimming pool in your backyard with the spa-like health features of a hot tub. By including hydrotherapy jets in your pool installation, you can turn your pool into the perfect location for a healing soak. The pressure of the jets helps to ease aching muscles and joints and are perfect for controlling arthritis symptoms or recovering from a tough workout. If your pool is heated, the jets can be even more soothing, as the warm water can further relax your muscles and joints. LED lighting has both aesthetic and functional benefits. Because the lights are available in a variety of colors and sizes, you can use them to highlight your pool as part of your landscaping and to set the perfect mood for nighttime swimming. Lighting also makes it safer to swim after dark and navigate your pool deck area. LED lighting is much more energy-efficient than traditional lighting, so you’ll save money on your energy bill. This kind of lighting is also inexpensive to install, so talk to your pool contractor about adding it to your swimming area. Home automation continues to be a top trend, and there’s no reason to leave your pool out of these smart home upgrades. There are a number of ways you can add automation to your swimming pool, from automated pool covers to heating systems and cleaners. These features allow you to manage your routine pool maintenance right from your smart phone. As home automation tools continue to expand, expect to see new automation features for your pool become available. Even with an effective pool filtration system, you will want to periodically replace the water as part of your pool maintenance plan. Your pool contractor in Salt Lake City can tell you how often the water should be replaced in your pool, based on the manufacturer’s recommendations and how often you plan to use the pool. Generally, pool water needs to be replaced once every five to seven years. 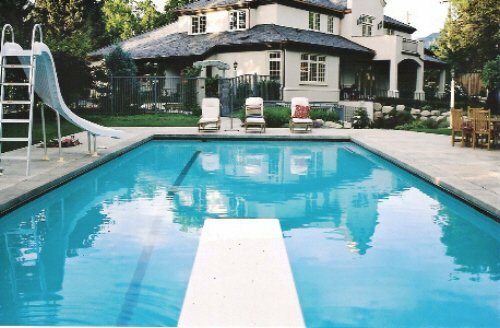 This should be done during mild weather, so that your pool surface is not at risk from strong sunlight and heat. Your pool maintenance company can recommend when it is time to drain your pool. Keep in mind that you can minimize the number of times your pool needs to be drained by sticking to a regular pool maintenance schedule, which will help to control the levels of potentially damaging elements in your pool water. Because pool drainage can be complex and doing so at the wrong time can damage the pool, it’s generally best to allow your pool maintenance company to perform the task for you.